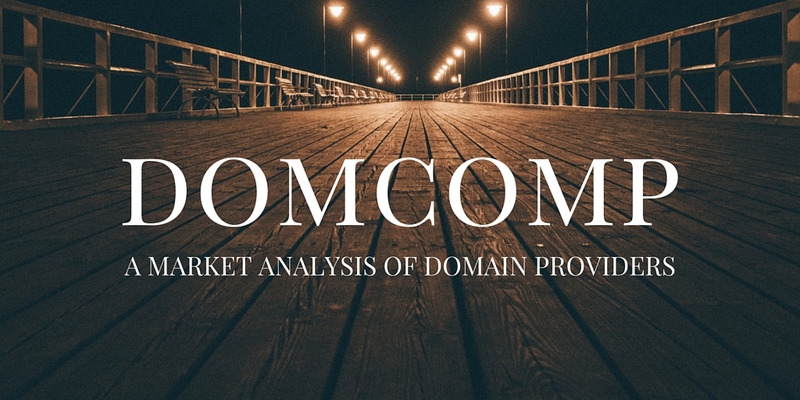 Domcomp: a market analysis of domain providers. A domain is the name of your website on the internet, and the first thing we usually consider when we decide to start a new website project. Sadly, if you decide to make a careful analysis before taking the decision of buying the right domain name, and the best provider, you will find that google and other search engines will not be helpful. Ads and fake analysis will be everything you will find. –Quickly find all the available extensions (.com .uk …) of your desired name. -The best prices for new domains, the annual renewal cost, and the price for bringing your current domain to a new provider. In addition, they also allow users to give their opinion of the service providers and, even if they barely have a few reviews, they seem to be quite good. In my opinion, a great project that deserves to be saved in your bookmarks.